A fantastic product for anyone looking to increase power, explosiveness and strength. It mixes easy and is immediately noticeable. I like to take mine 20-30 minutes before my a.m workout and the same with my p.m workout. It takes 3-4 days to completely saturate your body, but when it does it is incredibly beneficial; my bench press 3RM went from 110kg to 117.5kg after just two weeks of using this product and my power clean 1RM went from 100kg to 105kg in the same amount of time. 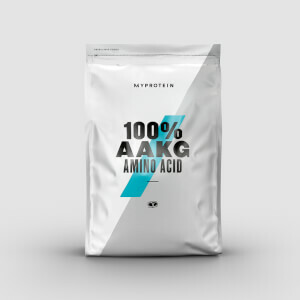 This product lets the gains do the talking and it is incredibly good value for money. I would however suggest buying it in bulk to save that extra bit of money. Nothing wrong with the product, But the scoop supplied? 7 1/2 mini scoops! Can Myprotien not supply a better sized scoop? I purchased this after a lot of research and I have discovered that this is probably one of the only few products on the market that have been scientifically proven to enhance physical performance and after a few weeks I can definitely see a difference in my work outs and in the bedroom department which I noticed almost straight away. In terms of taste it is very sour, I mix it with Powerade or lucozade sport and I take it with 2 beta alanine pills before I hit the gym for that extra tingle. It mixes ok but you need to stir it for a few minutes. In terms of dosage I'm roughly taking 10-15g anything less I feel is in-affective also the scoop is rubbish went straight in the bin, I use a scoop from my baby sons formula which gives me around 5g per scoop. All in all a great product and I would definitely recommend this to anybody serious about enhancing their physical performance. Great for better blood flow. Been taking this for 6 weeks and I have noticed a difference. I take 8-10 grams in my pre workout mix. Definitely feel much less achy and less fatigue during my workouts. Also the ache next day isn't bad as before. Helped loads along with BCAAs as I'm restricting calories and don't want to loose muscle so its kept the muscle loss to a minimum I feel. Downside is the taste isn't great but I just down the pre workout with this in so doesn't really bother me. Im yet to find one that tastes nice lol. I got this after reading many positive reviews and recommendations. So I thought I'd give it a chance. And boy it certainly gives you a rush. I have it twice a day. Both in the morning and just before I head into the gym. I love it. The buzz is amazing and I can feel my blood rushing through my veins. It's certainly helped my performance in the gym and I feel much stronger and have much energy. Try it you won't be disappointed.